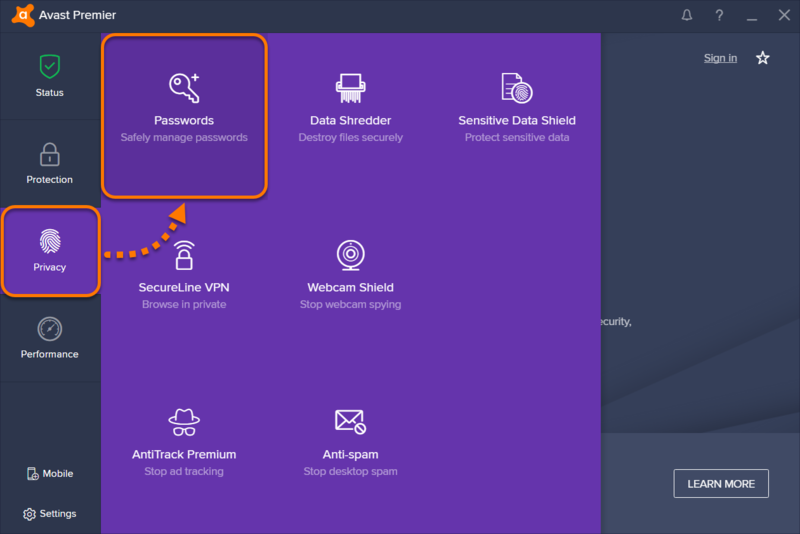 This article describes how to export your passwords data stored in Avast Passwords to the Mozilla Firefox browser. 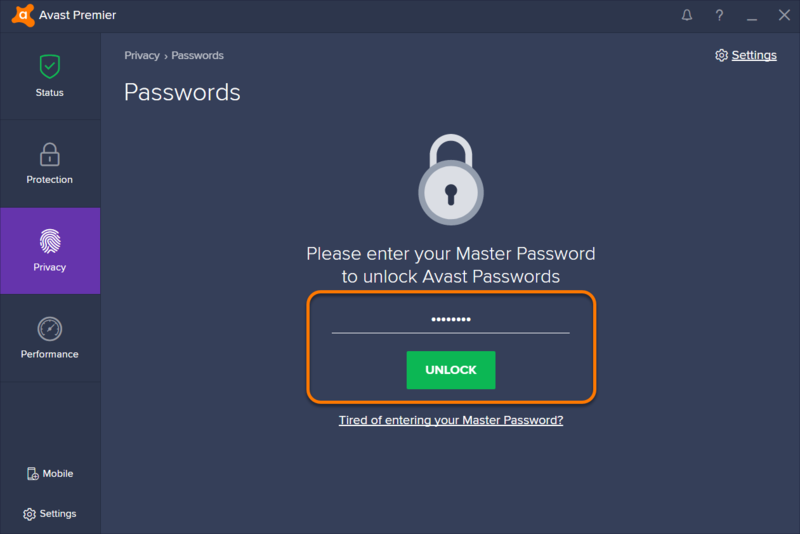 If you are using Mozilla Firefox version 57.x or higher, there is currently no way to import passwords data directly exported from Avast Passwords. 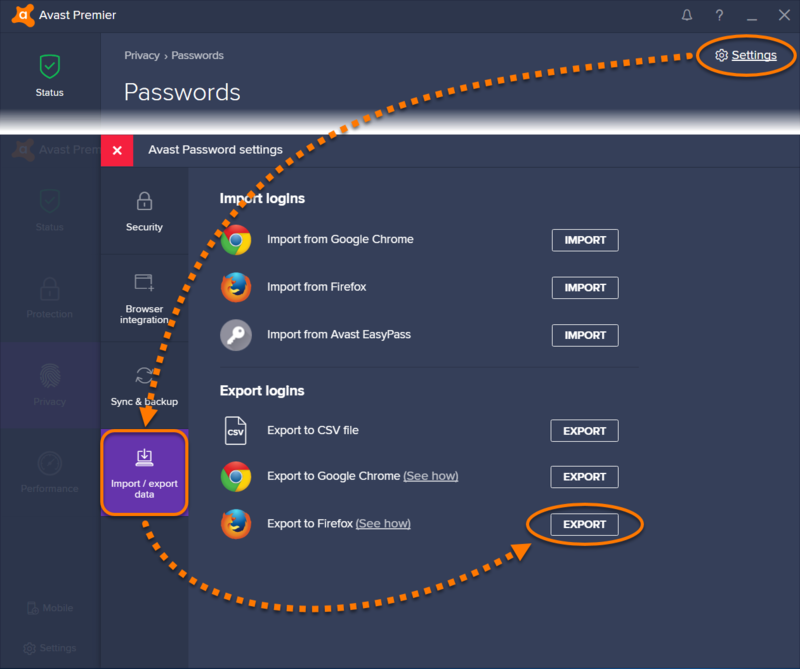 However, if you also use Google Chrome, you can first import your data from Passwords to Chrome, and then import the data from Chrome to Firefox. 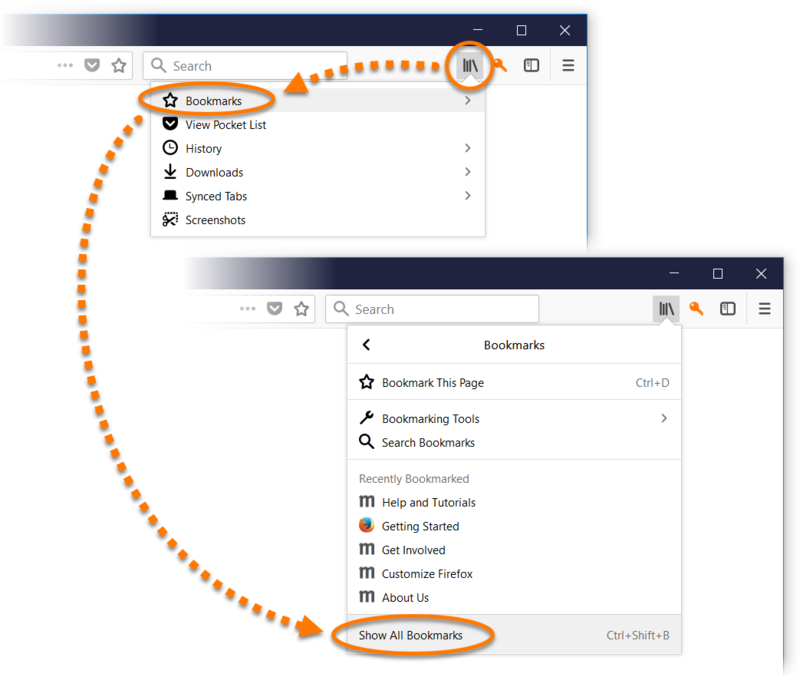 Open your Mozilla Firefox browser (57.x or higher), click the |||\ bookmarks icon in the upper-right corner and select Bookmarks ▸ Show all bookmarks. On the Import Wizard screen, select Chrome and click Next. Tick the Save Passwords checkbox only and click Next. 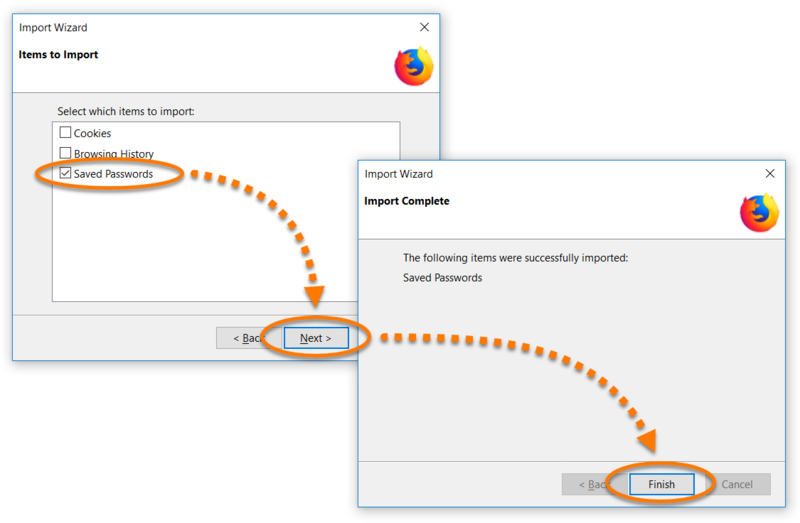 Click Finish to import your passwords to Mozilla Firefox. 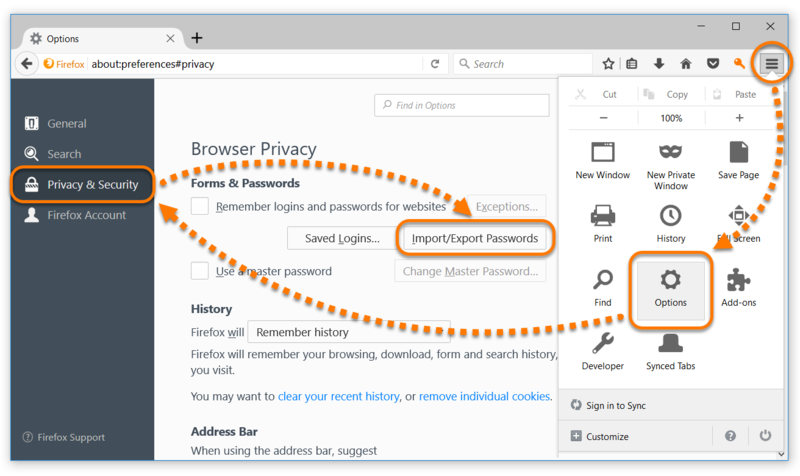 Your passwords data has now been exported to Mozilla Firefox. 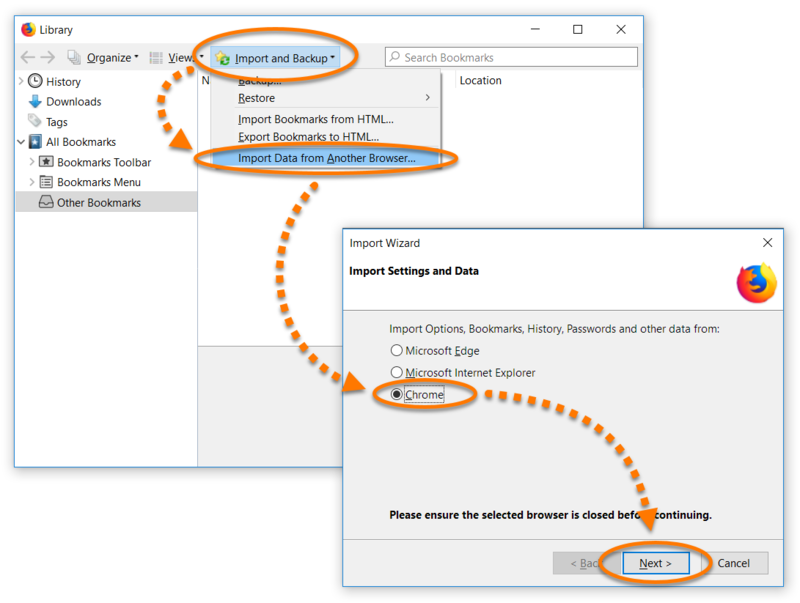 Go to Settings ▸ Import / export data and click Export next to Export to Firefox. 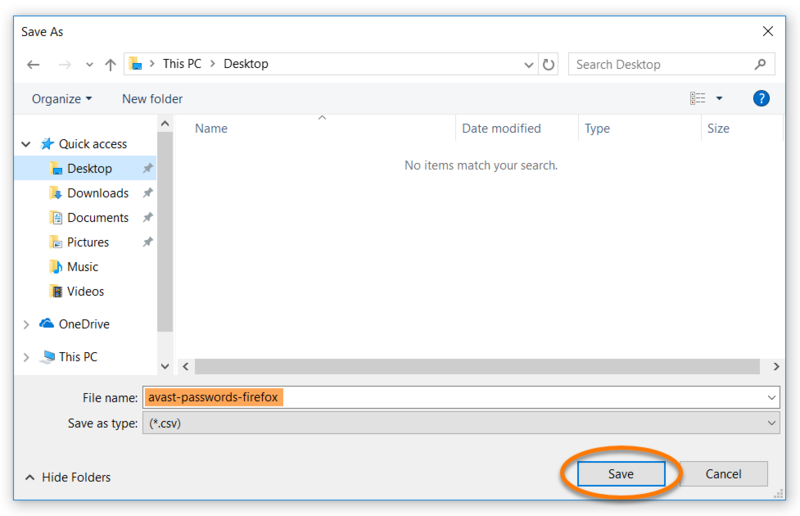 Select a familiar location to save the avast-passwords-firefox.csv file (for example, your desktop) and click Save. Open your Mozilla Firefox browser (56.x or lower), click on the ☰ menu icon in the upper-right corner and select Add-ons. Select Extensions from the left panel, then enter Password Exporter into the search field and click the ⌕ search icon. In the search results, click Install next to Password Exporter. Once installed, click on the ☰ menu icon in the upper-right corner and select Options. 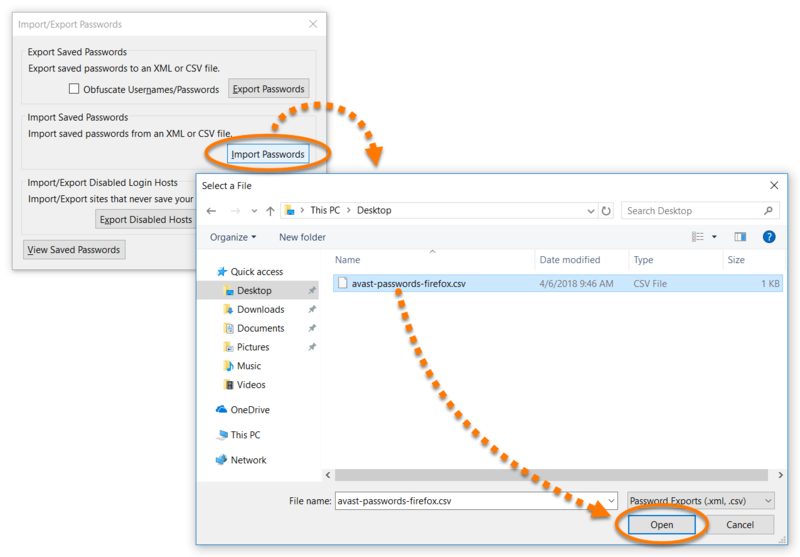 In the new window click Import Passwords. 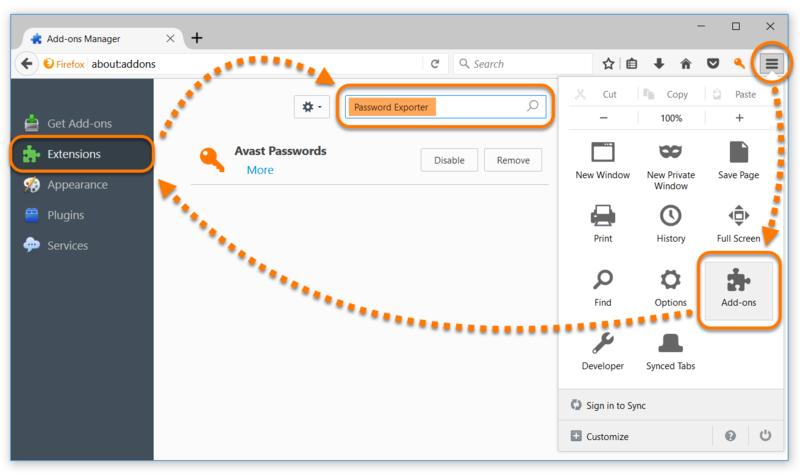 Locate the previously saved avast-passwords-firefox.csv file and click Open to import your passwords to Mozilla Firefox.